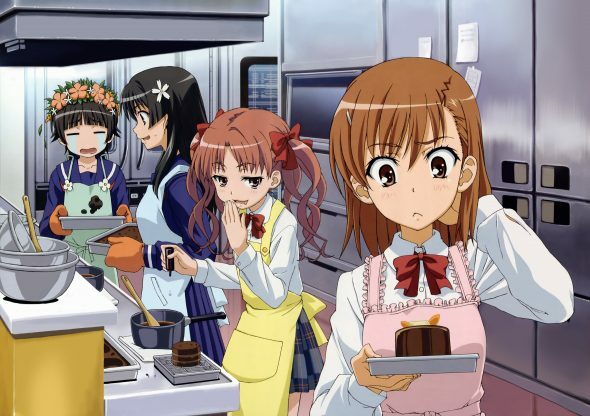 I was looking to see when the next A Certain Scientific Railgun manga volume is coming out (volume 12 is currently scheduled for release on July 25, 2017) and then I stumbled upon this image of Mikoto, Kuroko, Saten, and Uiharu making chocolates. Since girls making chocolates for Valentine’s Day is a big thing in Japan, I figured I’d share it. Ha!ha! This makes me want to go back and rewatch the anime series. Not that I have time to do such a thing. On the housekeeping side, I’m sorry I haven’t been posting as much. Work has kept me very busy and there’s not much sign of it getting better. It often seems that when I have some free time, I don’t have any gas left in me to write. Still, I’m thankful to have a job. I did finally manage to get the blog set up with signed SSL certs. Google has been punishing me for some time because all I had been using were self-signed certs. I really didn’t want the expense of paying for certs on what is merely an anime blog. 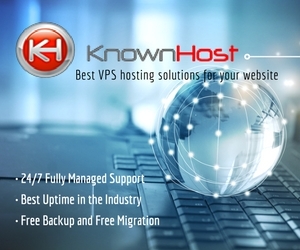 Thankfully, my hosting company KnownHost came through and provided me certs that meet Google’s standards. So now when people come in through the main page, everything should be cool. Some pages will flag as mixed content due to how they were converted from Blogger. At some point, I’ll try to fix that, but considering how I still have a couple of years of blog posts with jacked up or missing images, who knows when I’ll get around to that. At least everything from when I started on WordPress is fine. Bottom line, I’m hoping that browsers and Google no longer act like the site might be some dangerous pit from who knows where. Traffic has been ticking up slowly since I did the shift, indicating Google’s punishment may be lifted, at least somewhat. Hopefully this week, I can get a couple of manga reviews in, one for the latest Cardcaptor Sakura: Clear Card Arc and one for last week’s Hayate the Combat Butler. Before the month is out, I’m going to try to get a review of Flying Witch (anime) up. When I had the flu a few weeks ago, I watched about half of it from Crunchyroll. I still have to watch the other half. I’m not really sure what prompted me to start watching, but I like what I’ve seen so far. I’ve just got to find time to finish it. Flying Witch was a sweet little gem of a series that could not exist anywhere else – slice of life of a modern day witch! It is amazing how well such a story can work without even a trace amount of plot! You can call it a pure mood piece and for me it was 25 minutes of pure, happy relaxation each week! Yes, the series has thus far been pure slice-of-life material. Flying WItch is great. You should read the manga, Astro (online I guess). With its supernatural slice of life story it feels like a (modern fantasy) Ghibli story. Funny you put up that Railgun anime image. I tried the first episode Sunday or Monday, thinking it looked interesting, but when the creepy moment of the tween on tween molestation and the little sister tying to get big sister to a hotel plan I realized very quickly that this anime was not for me. Sad, I really liked the art style and overall it didn’t look like a bad setup. Kuroko in the anime is much more over the top than in the source manga. She and Mikoto aren’t related. She addresses Mikoto as “oneesama” because (1) it is one of those literary things to show extreme respect for one’s female senpai by another female and (2) it is also a literary device to show a girl attracted to her female senpai, whom she respects. In the manga, Kuroko still addresses Mikoto for the same reasons and still wants to do things, but she’s not nearly as over the top. And Mikoto punishes Kuroko if Kuroko gets out of line. But I certainly understand why this wouldn’t be for you. When I watched the anime, Kuroko’s actions were the thing I liked the least. I see. I thought they looked similar so I just assumed they were natural sisters. I didnt watch enough to get context. I remember that backstory being in both the manga and anime. As for volume 12, I am waiting on it too. Kind of Strange that Seven Seas is not releasing in April. Yeah, who knows what causes the delays.